We are a professional locksmith in downtown Calgary and provide local service. Call us to help you with your locks & keys. Get in touch with our company if you want to improve security and have better key management. We provide full residential, commercial and car locksmith service in downtown Calgary, Alberta. 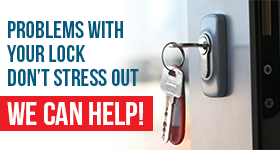 Our Calgary Locksmiths can help with any concern. Whether you have trouble with your boutique locks in Stephen Avenue Walk or want to rekey the home locks, get in touch with us. We can find tailored security solutions for all buildings in the cultural and government district, help drivers who lose their transponder keys, and keep your homes well secured. From the Glenbow Museum to hotels, restaurants, and apartments, all properties are in need of the best locksmith downtown Calgary team. That’s us. And we guarantee prompt response, excellent service, affordable prices, and 24/7 assistance. After years of working in the busy and densely populated area of downtown Calgary, we know how to get around quickly and thus help our customers in a jiffy. We provide local locksmith service no matter what you need. Our experts are all knowledgeable, reliable, qualified, and licensed. Call us for any service. Whenever you need a commercial locksmith to sort out problems or improve the conditions at your property, give us a call. 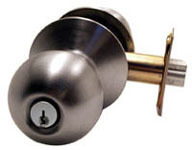 From banks and offices to retail stores and hotels, we can install, rekey, repair, and change locks at any business. Our residential locksmith will help you at your home. Call us to replace and install locks, cut new keys, change the interior door locks and help you with sudden problems. If you want auto locksmith service, contact us. From programming transponder keys to opening the locked car door and trunk, fixing the ignition, and changing the car locks, we can do anything for you. Our company is a 24 hour locksmith. We cover home, car, and commercial lock and key service needs. All techs are experienced and certified. We go the extra mile to serve your requests quickly. All vans contain the best locksmith tools and equipment for any service. We provide service at fair prices. Every time you need downtown Calgary locksmith service, remember that our company is only a phone call away. Contact us now for fast assistance.